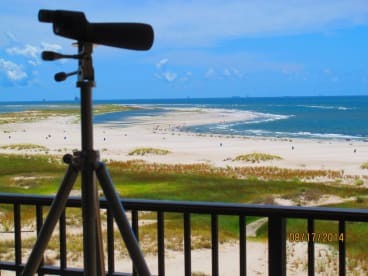 I live in New Orleans and own three beachfront condos, in Pass Christian, Mississippi and Dauphin Island, Alabama and a mountain getaway in Sapphire, North Carolina. I have my kites and my birding interests. I don't like to walk across the highway to experience the beach. I like to live on the beach. So here you have direct beach living with nothing but raw nature between you and the sand, dunes and water.